The British Pipeline Agency (BPA) operates and manages underground oil, chemical and gas pipelines on behalf of its clients, who are some of the world’s leading petrochemical companies. In the UK, the company is responsible for more than 1000km of pipelines and each year contacts the landowners who have pipelines under their land to remind them of the best practice to follow if working in the vicinity of the pipelines as well as the safety procedures to follow in the event of an emergency. To improve the responses, they received from their ‘Know What’s Below’ campaign that targeted the 2000 landowners on their database, BPA appointed Source PR to help with its communications. Historically, BPA had achieved a response rate of around 40% to its traditional letter and so was looking to explore other opportunities to achieve greater engagement. Having had exposure to the effectiveness of SMS campaigns, Source PR put forward the idea to specifically, target 400 of the landowners BPA had historically not received any communication from with a targeted SMS message. It was important that costs were also kept low as attempts had already been made to contact the landowners through a traditional letter and accompanying map. To make the response as easy as possible for the landowners, a campaign was set up to prompt them to respond to the letter that had previously been sent or to simply reply to the text informing BPA as to whether the contact detail on the system were ‘correct’ or ‘incorrect’. The responses to the SMS was almost instantaneous. 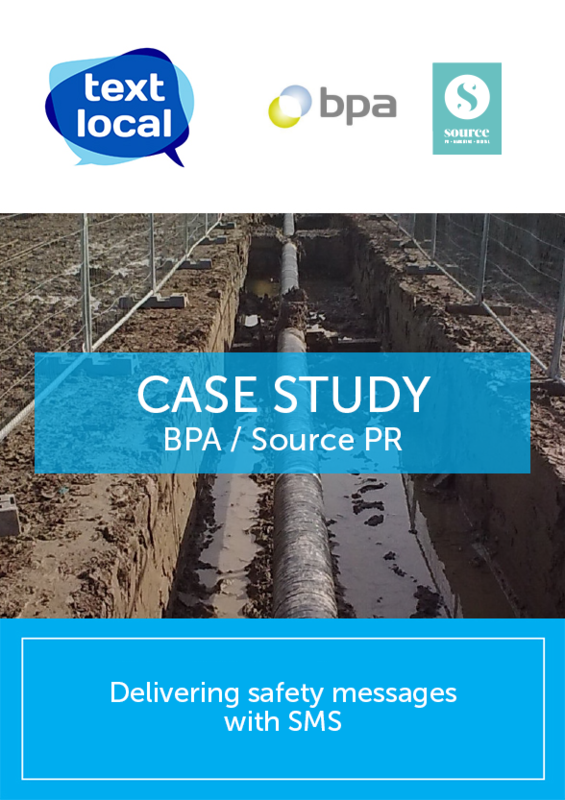 Within a few hours Source PR had received more than fifty direct messages from landowners and within a week they had secured a response rate of more than 30% from landowners who had not previously responded to communications from the business.